Bobby Burg is a busy man. From Joan of Arc, to Make Believe, to Love of Everything, he always seems to have a project to work on. This 2006 release, released on his own record label, Record Label, is a sight to behold. With the emo king, Tim Kinsella, on drums, and other Joan of Arc members as contributors, Burg brings listeners to a realm of childhood nostalgia with adult undertones. Soft voices, and equally soft sounds make this an accessible release. 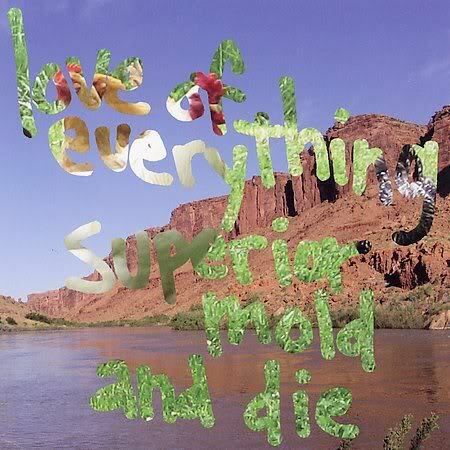 (Considering LOE is all I've been listening to this week, I almost think I like Bobby more than Tim now, and maybe you will feel the same way too after listening to Superior Mold And Die).